Sherlock – BBC Drama – Magnificent !! BBC recently produced ‘Sherlock‘ a three part mini-series based on Sir Arthur Conan Doyle’s famous detective character Sherlock Holmes but set in modern times and not the 19th century. The mini-series stars Benedict Cumberbatch as Sherlock Holmes and Martin Freeman as Dr. Watson. The three 90 minutes episode were shown on British Television in August 2010. This Sherlock Holmes is set in today’s world and Sherlock Holmes not only uses his extraordinary powers of deduction but also uses mobile phones, text messages and GPS signals to solve the mysteries and he also has a website. He has kept some of the things oddly similar to the great writers novel though including the address where Sherlock Holmes lives, 221 B Baker Street. In the first episode, “A Study in Pink“, along with Dr. Watson, Sherlock Holmes solves the mysterious case of the Serial Murderer forcing his victims to commit a suicide. 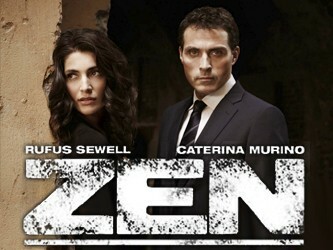 The 2nd episode titled “Blind Banker” deals with murders happening in different parts of London where the killer leaves cryptic symbols similar to ancient Chinese script. The interaction between Watson and Holmes is quite wonderfully enhanced here. In the 3rd and final episode of this season titles “The Great Game” Holmes solves more than one cryptic murder cases in game guided by a bomber only to be outsmarted by the ultimate arch-enemy Proffessor Moriarty in the end. The end leaves you hanging and wanting for more. The 3rd part shows the brilliant side of Holmes as he solves one case after the other in quick time. The camaraderie between Holmes and Watson with the slight hint of gay undertones is again wonderfully shown. The series is brilliantly shot with great production values and great casting. Benedict Cumberbatch not only looks the part of Sherlock Holmes but have to admit that even surpasses Robert Downy Jr.’s portrayal in the movie version of Sherlock Holmes. Martin Freeman as Dr. John Watson is fantastic as well. This television series is one of the best written, acted and directed in recent times. The three episodes this season have not satiated the users and thankfully BBC have green-flagged another 3 episodes to be released next year. My Ratings : 9.5/10 – Catch it on DVD or Online Streaming Sites, TODAY !! Ok this is about Shin Chan Nohara. For those who do not know who he is probably do not have young kids at home watching cartoon/ animation on Television. Shin Chan is a Japanese Cartoon Serial , translated to English and Hindi. Its episodes are 30 minutes long shown about 3 or 4 times a day on Hungama Channel. The series follows adventures or rather misadventures of 5 year old Shin Chan with his parents, younger sister, teacher, neighbor, friends and other miscellaneousness people. Shin Chan is a naughty kid and behaves like an adult at times. He asks rude and ridiculous questions and passes sharp judgement on people including his mom. The series shows how the kid enjoys at expense of others and has lots of physical and verbal comedy. Kids of course adore and imitate him. But he makes many parents worried. Th problem compounds when you watch the Hindi Dubbed version of the serial, which we get to see on our cable. The Hindi translation makes it even ruder sounding. Shin Chan mouthes dialogues like ‘ tum itni motee kyun ho’, ‘bacche churane wali moti budhiya’ to his mom. He asks his teacher about her boyfriends and does generally naughty things which an adult might do but not a 5 year old. Such mischievous antics have made Shin Chan almost a cult figure among kids. Shin chan is amongst highest watched program by kids on television. Shin Chan sometimes sets bad examples and teaches young kids on how to do mischievous things and get away with it. It shows you can be smarter than adults and even fool them. His naughtiness is exciting and gives kids a sense of high by which they can become equal to adults. It stops their ability to discriminate between right and wrong. The above reasons are enough for not to watch the series and not let your kids watch it as well. However reality is different. As per the data most kids watch it in spite of all sorts of warning. Perhaps its a guilty pleasure to watch it. Must say, the animation is cute. So then, whether to let our kids watch it. I am still not sure but have to admit that both my kids have watched it quite a few times with and without my knowledge. I am not too happy about it but then I am not happy with many other things. 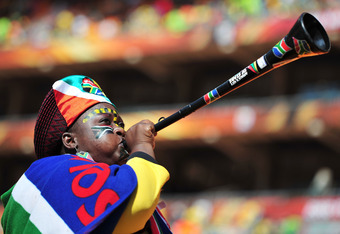 Somebody BAN the VUVUZELA please !!! Vuvuzela is killing it !!! The cheap plastic horns are killing the world cup soccer viewing experience. There are basically tuneless horns producing cacophony. Watching the world cup matches on TV, all one hears is noise produced by thousands of tunelss vuvuzelas and nothing else. It was good the first time we heard it, almost a novelty but then one half into it and we knew it that this was the world cup killer, if not controlled. It just ruins the football watching atmosphere totally. Instead of the ‘ooohs’ and ‘aaahs’ of the spectators engrossed in the game, what one hears is senseless trumpet noise which irritates your ears more than a Himesh Reshmmiya solo song. No slogans, no spontaneous reactions, no songs, no banter, no insults, nothing can be heard over this cacophony. I have realized, like many others, that the best and perhaps the only way to watch world cup football on TV is by muting the sound. Somebody please BAN these stupid horns and save football world cup. FIFA are you listening??? Here’s a great Pepsi ad featuring most prolific footballers like Messi, Henry, Kaka, Arshavin, Drogba, Lampard playing football on the tune of ‘Oh Africa’ by Akon released 100 days prior to the greatest spectacle on earth, FIFA Worldcup to be held in South Africa.